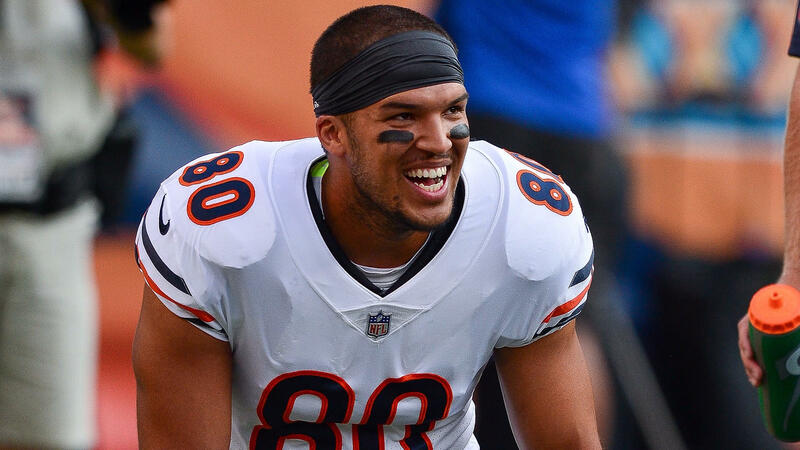 When it comes to season-long fantasy football, you play your studs unless there is an injury, or you are loaded at a position and have other studs on your bench. Don’t overthink it. You are playing head-to-head against one opponent each week. You just have to beat that opponent (who also probably has weaknesses in their lineup). Unless you are a huge underdog that week, don’t get cute. In most cases, we don’t touch upon the obvious plays. There are other Start/Sit articles that will tell you to start Tom Brady because he is taking on the Chiefs defense in the highest projected scoring game of Week 6. #NoKidding. We don’t list obvious plays so we can look like we are smart when the obvious plays do what obvious plays do. That doesn’t help you. We try to look at some of the plays that are questionable and give you insights on those. We will be right sometimes and we’ll be wrong sometimes but we take some chances to give you additional information to use when making your final decisions. Don’t overthink the QB position. Play your studs. 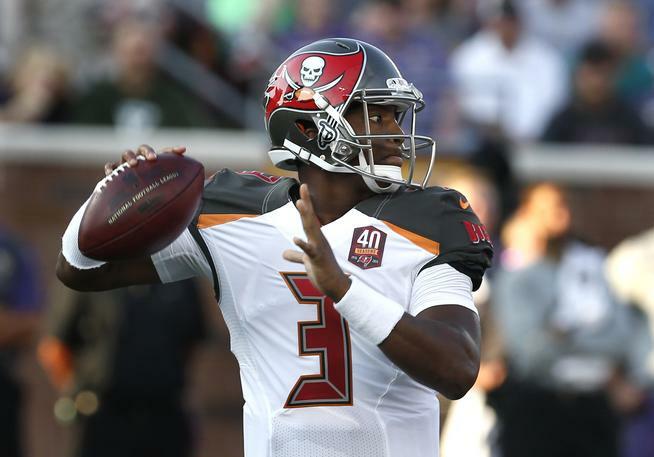 But if you don’t have studs and Jameis Winston is on your roster or available in your league, pick him up as a streamer this week. Personally, I am not a fan of Winston. What I am a fan of is playing offenses against this injury-depleted Falcons defense. Other than the opening game of the year against the Eagles, the Falcons have given up 3 touchdowns to every Quarterback that they have faced the past four weeks. During those four weeks, every Quarterback has scored at least 20 fantasy points and have averaged 329 passing yards. Winston has receiving weapons and is not afraid to use them. Tampa Bay has no running game to speak of whatsoever. Even if they do utilize rookie Running Back Ronald Jones, it will probably be with passes out of the backfield, which doesn’t hurt Winston. This is certainly a gamble but all of the puzzle pieces fit (2nd highest point total at 57, bad defense, no run game). Don’t put much stock into Winston’s first-game back after suspension when he faced the mighty Bears defense. Remember what this offense was with Ryan Fitzpatrick and remember what other Quarterbacks have done against this Falcons defense. Wilson is capable of a big game at any time because he is Russell Wilson. But, I don’t trust this Seahawks offense. If you are debating whether to start Wilson because your backup is decent, as well, you might want to consider your backup. It is hard benching Wilson but he just isn’t racking up fantasy points in this offense. Much of what makes Wilson who he is stems from his ability to make plays with his arm downfield and being a threat to take off and use his legs. Neither of those have been prevalent this year. In fact, he didn’t run for a single yard in Week 5. That is almost criminal for a team with a losing record. He is still throwing touchdowns in the red zone but he has yet to have a 300-yard passing game. In fact, he has been below 200-yards in three of his five games. Yes, he is going against a bad Oakland defense but that just makes me think that Pete Carroll will try to run the ball even more. I would be very cautious about Wilson this year until he starts running the ball or piling up the passing yards. I like to be certain about my plays and his fantasy production the last four weeks has been below 20 points. The Patriots are a home-favorite in the highest projected scoring game of Week 6. If you think that the Patriots win and it is high scoring, then Michel is a great play. If the Patriots lose or trail most of the game, then Michel won’t be a lock to produce. He is game-flow dependent. James White is going to dominate the snaps if the Patriots are playing from behind. If the Patriots are winning, Michel should see multiple scoring opportunities around the goal line. 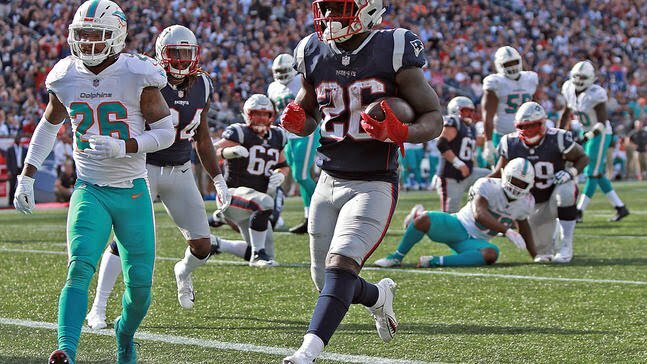 In the Patriots last two wins, Michel has rushed 43 times for a total of 210 yards. He has scored in both games. Only the Cardinals are giving up more fantasy points to Running Backs than the Kansas City Chiefs are. As usual, when recommending a Patriots player, be aware that Bill Belichick doesn’t think like you or I, and he certainly doesn’t care about fantasy football. Shady has won me a lot of money and fantasy championships over the years. I love his skill set but this Bills team is still trying to decide if they want to be good this year. I do not trust the coaching staff. I do not trust that McCoy is healthy. He was finally given the workload that we expected with 24 carries in their Week 5 win against the Titans. Even though they won, McCoy still didn’t get into the end zone and he still didn’t get to 100 rushing yards. That is a bit concerning on 24 carries. This week, they travel to Houston and are a 10-point underdog. The game script is not favorable for McCoy. The Texans are stingy against the run giving up an average of only 76 yards per game to opposing Running Backs. They just held Ezekiel Elliott to 54 yards despite having 20 carries. At this point, McCoy is a difficult player to start with complete confidence. 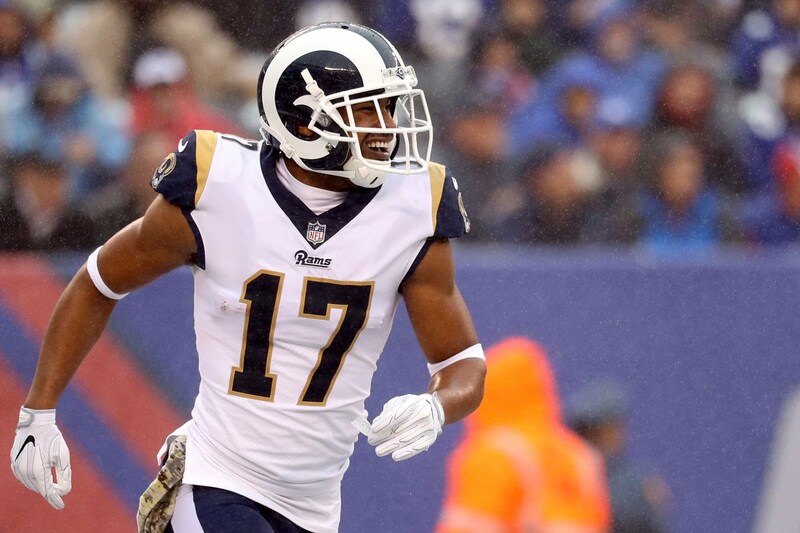 Woods is sometimes the forgotten guy on this potent Rams offense. Todd Gurley is the stud. Brandin Cooks is the “big-play” guy. Cooper Kupp just scores touchdown after touchdown. Jared Goff is the Maestro young Quarterback that directs the show. Woods is often an afterthought but he shouldn’t be. He is a gamer that has good hands, good size, and good speed. He is a complete Wide Receiver. In fact, over the course of the last three weeks (according to ESPNFantasy), he ranks 8th in total fantasy points – regardless of position! During that stretch, Woods has caught 20 balls for 297 yards and 3 touchdowns. Now, there are questions about his running mates. Both Kupp and Cooks exited Week 5 with concussions. He should get all the volume he can handle in Week 6. The Broncos are no longer the “No-Fly Zone” defense. They are very vulnerable to offenses (as the mediocre Jets just demonstrated). Hogan’s usage has been much different than we expected this season. If you are still thinking about where you drafted him and how he can still put up a big game, then don’t. Yes, he has potential, but you want to be as certain as you can be with your lineups. He is not a sure thing. The Patriots scored 38 points in Week 5 and yet Hogan only had 1 catch. Yes, it was a nice play for 25 yards but it was his only target for the game. He has caught only 12 balls all year and the most yards he has had in any game is only 42. With Julian Edelman’s return and the Josh Gordon trade, it looks like Chris Hogan’s time as a fantasy starter has passed. Fantasy football would be more fun if you didn’t have to worry about Defenses, Kickers, and Tight Ends. Unless you own Gronk, Travis Kelce, or Zach Ertz you never have complete confidence in who your starting. Burton came into the season with a lot of promise. He was given a huge contract and was going to be coached by Kelce’s former OC Matt Nagy with the Chiefs. Burton has not performed as well as expected so far but he did have a stat line of 2-86-1 against Tampa Bay right before the bye. Maybe they worked on ways to better involve Burton in the offense during the bye week. This week, they are facing the Dolphins who are ranked 26th against the Tight End position. No one questions his talent but with the less-than-heralded start to his season, we may be questioning whether he should be in our lineups. I have a good feeling about him this week – well, as good of a feeling as you can have about a Tight End not named Gronk, Kelce, or Ertz. He had a really nice game this past Sunday, but Hooper is not reliable. It’s not that he isn’t good, it’s just that this Falcons offense is hard to count on when it comes to the Tight End position. The position by nature is unreliable and a player like Hooper makes it even more so. Although the Buccaneers are ranked last against Tight Ends so far this season in fantasy points allowed, Hooper had non-memorable games both times he lined up against them last season. Be cautious in chasing his points from Week 5. That was more an exception than the norm. In his last 20 games, he has had as many 100-yard games as you and I and he has been targeted 7 or more times only twice. Related Items#CPGMFantasyFootball2018 Fantasy Football2018 Fantasy Football Lineup2018 Fantasy Football Start/SitFeaturedSitStartStart and SitStart Em Sit EmStart SitStart Sit DecisionsStart/SitStart/Sit Fantasy Football Week 6Start/Sit Week 6Week 6 Fantasy Lineup DecisionsWeek 6 Start/SitWeek 6 Start/Sit 2018Weekly Fantasy LineupWho should I start in Fantasy Football?Who should I start in week 6 fantasy?